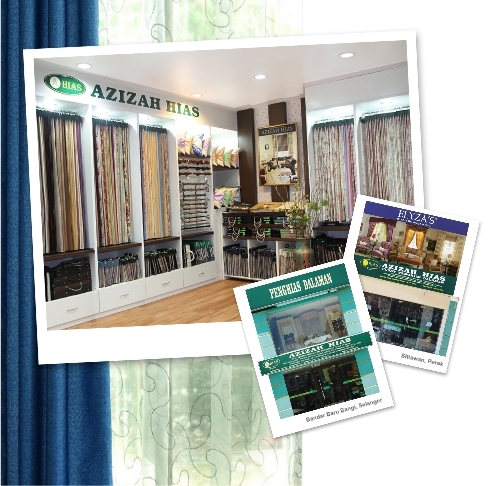 Azizah Hias is an interior design centre that was established in Sitiawan, Perak in 1994. Known as a one-stop interior designer, we provide a variety of services which include the design and sewing of curtains, bed sheets, cushion covers, etc. to enhance various spaces such as private homes, office spaces, mosques, schools, etc. In 1994, we expanded our business by opening our first branch in Bandar Baru Bangi, Selangor. Our company has grown tremendously, showing very encouraging growth after 17 years of operation.